In need of two-way authentication to extend the security in your corporation for accessing heavily secured information outside the company walls? You can easily manage this by setting up a two-way authentication with ProVide. 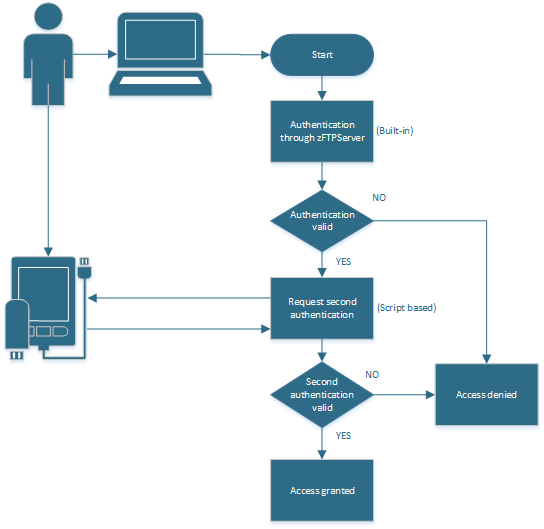 You can set up two-way authentication in many ways, one way can be that the user who tries to access ProVide resources has to exist in an external database or perhaps the user also need to provide extra credentials via SMS. Sample scripts can be found in the DocWiki.